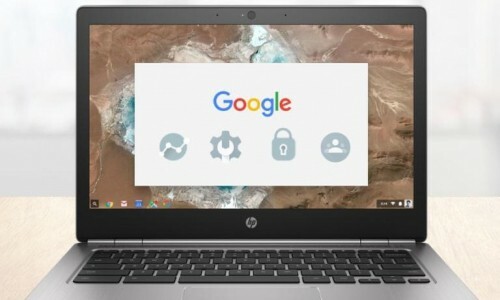 Google has released a brand new version of Chrome which brings many useful improvements including security boost, dynamic module imports, a new site permissions dialog, redesigned chrome://flags page, Device Memory API, among other developer features. The latest software update, version 63 is now available for all users on the desktop (Windows, Mac, Linux) and mobile (Android). Chrome 63 brings a redesigned chrome://flags page where there is a new Material Design that helps users distinguish between Available and Unavailable in-development Chrome experiments. The update also brings in a new Search bar and a quick button to reset all experiments in one go. To cut down on errant permission requests by websites, Google is switching to a modal Permissions dialog that users must take action on. Google found that the new pop-up reduces permission prompts by half, with users five times more likely to either grant or deny access. Under the old method, users would often ignore or temporarily dismiss prompts more than 90 percent of the time. Chrome 63 also fixes several security vulnerabilities. The update brings nearly 37 security fixes. On top of that, Google has added various fixes from internal audits, fuzzing, and other initiatives. Chrome 63 also implements the Device Memory API, which helps developers create one user experience that can work across all devices. This new API uses the total RAM on a user’s machine to provide insights into device constraints and tailors content at runtime in accordance with hardware limitations. Additionally, Chrome 63 supports “display: minimal-ui” function. This will allow web developers to display a UI for users that resembles Chrome Custom Tabs. Further, there’s also a new shortcut feature that will help users to easily find the Site Certificate of websites. Smart Text Selection is a feature available in Chrome 63 for Android. Smart Text Selection recommends apps to users depending on what text they select in any document, email or webpage.